Wolves are stunning animals which has been represented through our history, art, and culture for centuries. ​And now you can bring a piece of the legendary wolf into your home. These are not wolves though (well, not completely), but dogs that have prominent wolf features passed on from their ascendants. However, adopting these breeds comes unique challenges you need to be aware of. 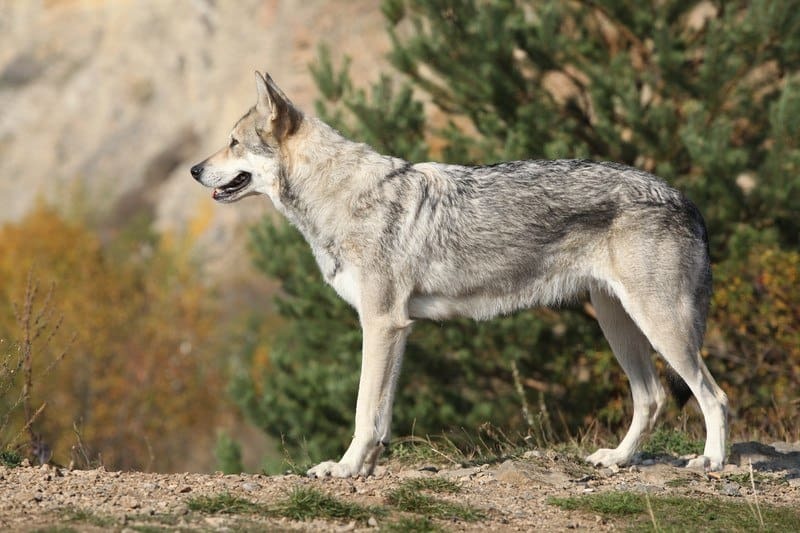 Here we look at what makes a wolf dog, and the best breed of wolf dog for your home. Wolf dogs are any breed that has “wolf content” in their genetic makeup. This means that any cross breed with a dog and wolf is considered a wolf dog. Wolf dogs can be described as High, Mid, or Low wolf-content, depending on how much wolf is passed on to them. However, these types of breeds (whether low or high content) present many challenges that even an expert dog owner would find difficult to overcome. Wolf dogs have a much higher set of daily needs, and you need to be prepared for the extra responsibilities with owning one (which we cover below). Through careful selection - some breeders have successfully created new dog breeds that look similar to wolves, but have the temperament of a domestic dog. Some breeds have zero wolf content, such as huskies, which have some similarities in markings but have no relation at all. In which case, you may just want a husky or a dog that looks like one. Then there are very low wolf content dogs. This generally means your dog is at least 4 generations removed​ from their wolf ascendants, while being mixed with other breeds. 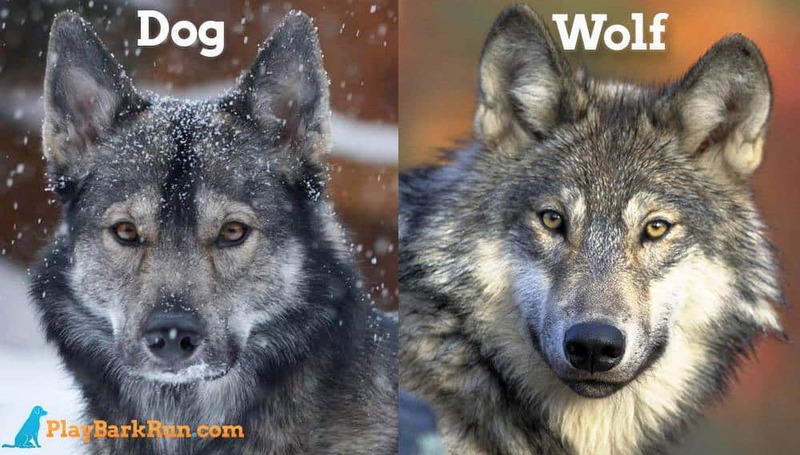 If you’re considering adopting a wolf-like breed, then this is the way to go. 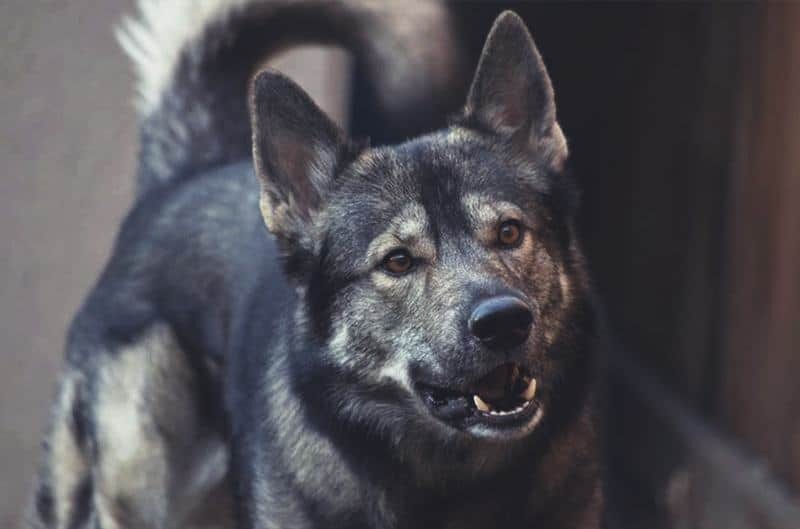 Very low content breeds still have a beautiful wolf-like appearance, but are domesticated and generally family friendly. 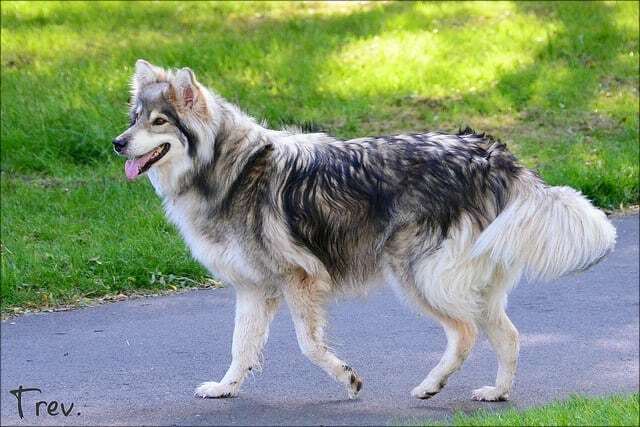 ​Many dogs are mislabeled as wolfdogs because they share similar markings. Often this is just a case of mistaken identity and they may just be a breed mix of Husky, German shepherd, or Alaskan Malamute. 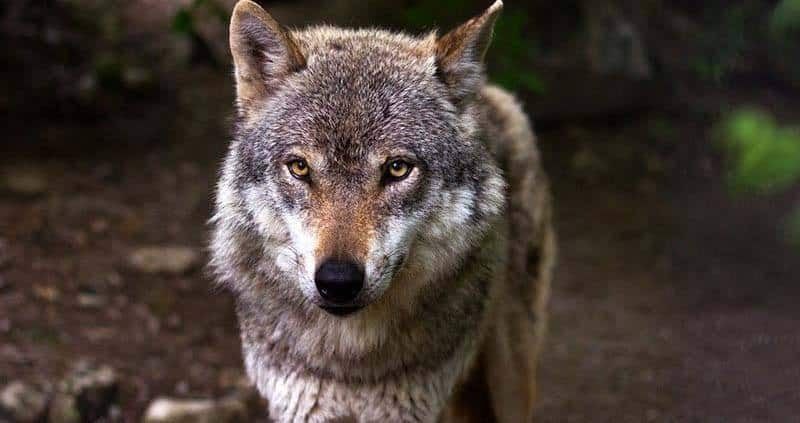 ​Be aware that it’s illegal to own a wolfdog in many States and Countries, unless you have acquired a license or work with a wolf sanctuary. If you’ve acquired a dog that is part-wolf, or you have incorrectly labeled your dog as one, you may receive a visit from animal control. They shed A LOT, and will blow their coat twice a year. In which case you'll need a good brush. They experience extreme separation anxiety, and are destructive when left alone. They all have very high energy, and require high intensity exercise every day or they’ll become bored and destructive. They require early socialization to avoid aggressiveness as they mature. They can be serious noise makers, with lots of barking and howling. They are best suited for large open areas, or owners who can stick to a regimen of daily exercise and constant supervision. And, some of these breeds are more difficult to own than others. Northern Inuit Dogs were an attempt to create a wolf-like breed with the temperament of a dog. It’s speculated this breed originates in the UK during the 1980’s, by mixing Malamute, Siberian husky, and German Shepherds. They gained main stream popularity from the series Game of Thrones, where the characters from the Stark family ﻿comes across a litter of "wolf puppies", which were actually Northern Inuit dogs. Do they make a good family pet? Yes, but best suited for singles, or families with older children. They tend to not have patience for young children. 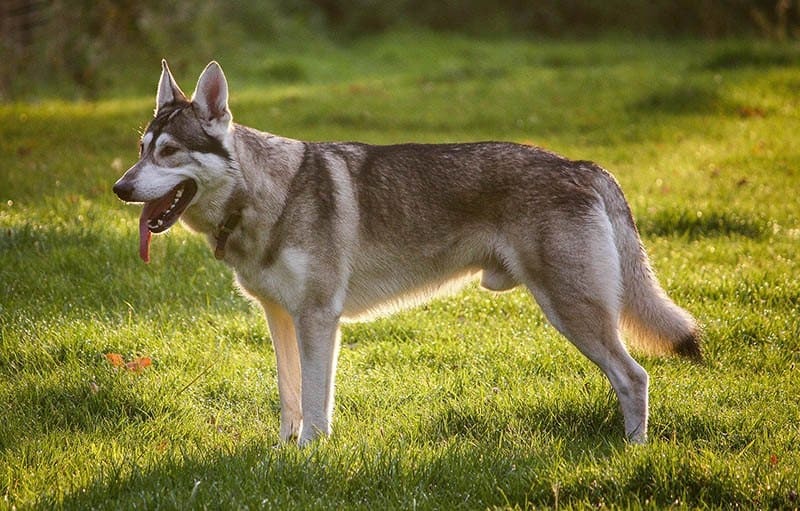 While loyal and loving, Northern Inuit Dogs need training and assertive leadership, and is not recommended for the novice dog owner. They have extreme separation anxiety which leads to destructive behavior when left alone - therefore cannot be trained as kennel dogs. Created in 1935 when Dutch Breeder Leender Saarloos crossbred German Sheppherds with ​European Wolves to create a working dog. But what he got instead was too much wolf personality, which didn't translate well into working dogs. Do they make a good family pet? Not exactly. While not always recommended for children, they do make excellent dogs if their specific needs are met. Saarloos are generally non-aggressive, however they require strong leadership to overcome their free roaming wolf instincts. While shy, they do need socialization with other dogs. Because of the Saarloos wolfdog’s roaming nature, they are best suited for large open living spaces, acreages, and require daily activity. They have very high separation anxiety, and cannot be trained as a kennel dog. Tamaskans are dogs that were specifically bred to look like wolves, mixed with Husky, German shepherd, and Czechoslovakian wolfdogs. 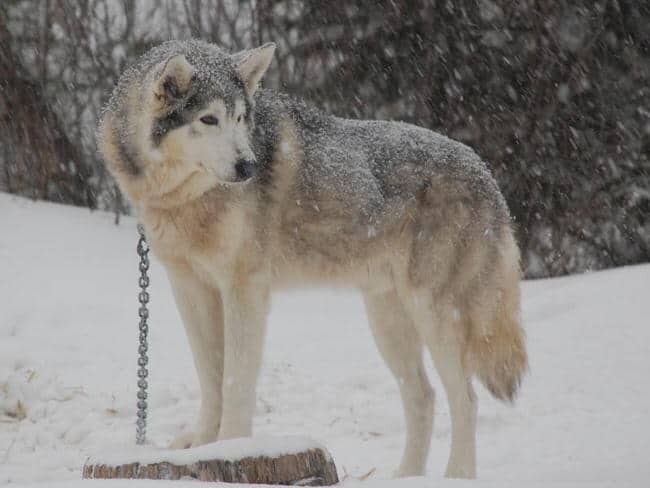 Being officially recognized as a breed in 2013, this once rare breed is quickly becoming popular in North America due to its close resemblance to the wolf and its playful personality. Do they make good family pet? Yes, if you’re willing to put some work in. Tamaskans require a regiment of training and a very high amount of daily exercise and stimulation. Without this regiment Tamaskans will resort to destructive behavior. Early socialization is an absolute must, or they have been known to show aggressive behavior as an adult. A common trait is separation anxiety, and when left alone they will resort to destructive behavior. Tamaskans have a very high prey drive, meaning rabbits, birds, and squirrels will peak their interest. The Tamaskans breed are loving, loyal, and intelligent dogs. With the right training, exercise, and socialization, make absolutely wonderful companions. Many Puppy Mills and unhealthy litters have been showing up due to their rise in popularity. Get your Tamaskan from a certified breeder. 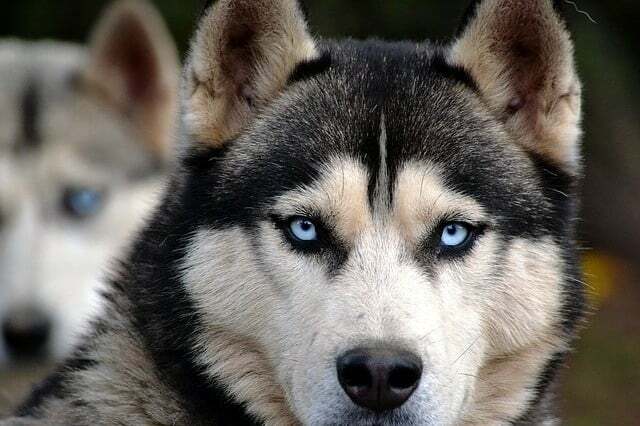 Alaskan nobles are a new breed, recognized for their stunning appearance and close resemblance to wolves. They're a crossbreed of Siberian Husky, German Shepherd, Alaskan Malamute, along with other breeds. There are conflicting reports about whether or not these dogs carry wolf content. Do they make a good family pet? Not enough is known about this breed at this point. Alaskan nobles have been reported as being very affectionate, laid back, and playful with their owners. However, these same owners have also reported apprehension, and even aggressiveness towards strangers and children. Beyond these reports, Alaskan Nobles are known as being extremely loyal to their owners . They are very active dogs that love to explore and roam in free open space. Daily stimulation is required to occupy their intelligent minds. Just like any breed, they require early socialization to avoid becoming aggressive as they mature. They are also known to have very high separation anxiety. Vallhund translates to Herding Dog, and that’s exactly what they do. 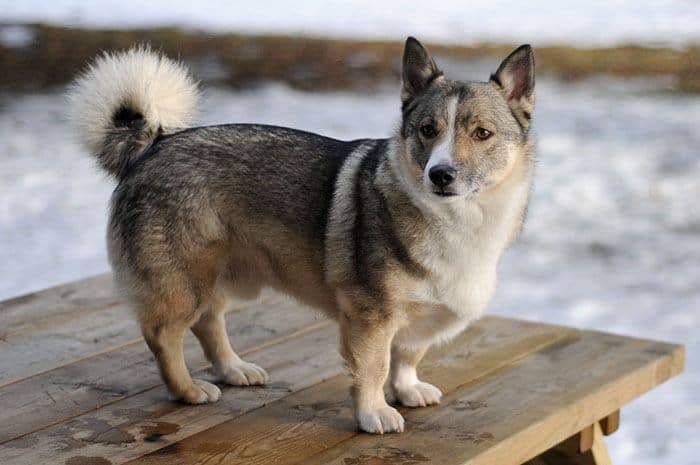 Originally developed to herd cows, and referred to The Swedish Cow Dog, this is a rare breed that is believed to have originated thousands of years ago. Do they make a good family pet? Absolutely. They’re playful, loving, loyal, and fun. They still having some herding instinct, and are considered work dogs that need a high level of exercise and stimulation. They are noisy, and known to bark excessively, therefore do not make good apartment pets. Because of their high energy, they require daily vigorous activity, or else they may result to destructive behavior. 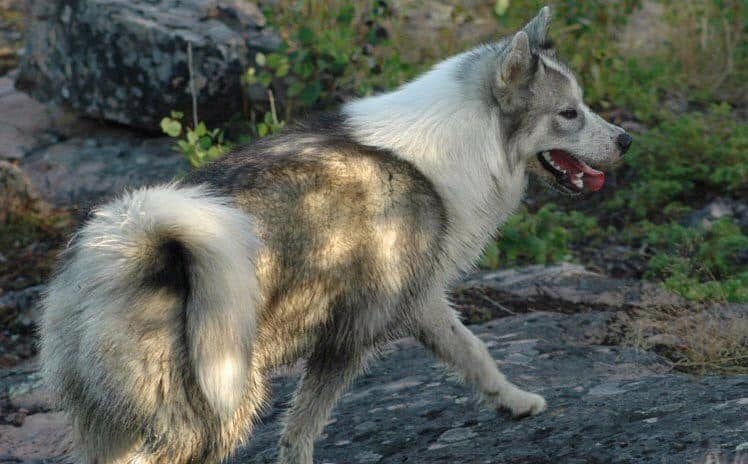 Utonagan is a newer breed, introduced to the UK in the 1980's, which again is a crossbreed of Malamute, Siberian Husky, and German Shepherd. They got their breed name from a tale passed on by , where Utonagan translates to "spirit of the wolf". Do they make good family pets? Yes, but they do need some work. Similar to a Tamaskan’s temperament, they are curious, affectionate, loyal, and playful, but require daily training and exercise. They have plenty of personality, and are very receptive to their owners which makes them easy to train. Utonegan’s are energetic, so they need to run and require mental stimulation. Their free roaming instinct is very much alive so they are best suited for large living spaces and acreages. They have a high prey drive, so squirrels, birds, and rabbits will definitely catch their attention. And you guessed it - they have high separation anxiety, and will resort to destructive behavior when left alone. This breed has been known to have health issues, so be sure to research their pedigree and health tests before adopting. Temperament: Strong, Stubborn, Intelligent, Friendly towards people. Again, mixed with Malamute, Siberian husky, and German Shepherds. Alaskan Malamutes carry some wolf-like markings, although their long coat and stature has some distinct differences. 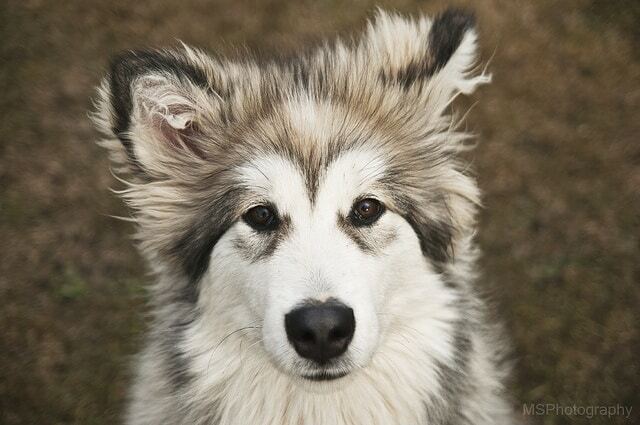 They originally were bred as an arctic sled dog to haul loads through Siberia or Alaska. Malamutes and are still considered strong work dogs, which makes can make them difficult to handle in a normal household. Do they make good family pets? Yes, but they can be a very challenging breed. Malamutes are intelligent and stubborn, which makes them strong-headed and tough to train. Malamutes are a common breed to end up in shelters as many owners underestimate how difficult this breed is to train. A strong assertive leader is required​ or else they'll assume the alpha position in your home. Malamutes have separation anxiety, which may lead to destructive behavior when left alone. This breed is best suited for large open areas, or with owners who are willing to follow a daily regimen of running, hiking, or sledding. Not much is known about the Siberian Husky’s history, it is believed they originated in Siberia and are an ancient breed. They were then used in Alaska during the 1900’s for dog sledding to assist in hauling loads over arctic tundra. Huskies today are a common breed, and recognized for their beautiful markings. Do they make good family pets? Yes. Huskies are still considered work dogs however, and need daily exercise or they’ll resort to destructive behavior. They are strong-headed, and often need an assertive leader and training. They are difficult to train due to their stubbornness and intelligence. You’ll often hear stories from husky owners about constant barking, digging, and chewing. Huskies are very playful and have a gentle nature, and with a little patience and training make wonderful pets. Considered one the oldest and rarest breeds, and have been threatened with extinction. The Canadian Eskimo dog is another artic working breed, and they reflect that with their personality. They are active, strong, and love to run and explore. This breed is accustomed to cold climates, and even prefers to sleep in the snow. Do they make a good family pet? Yes, they are affectionate and loyal to their owners. They are best suited for a working environment, where they can get daily exercise and stimulation - which makes them excellent sled dogs. Temperament: Very high intelligence, Stubborn, Free roaming, Curious, Playful. The Kugsha are a rare breed of wolf hybrid. They are an ancient breed, believed to have originated 1000s of years ago, and were used in Early America as a working breed to haul shipments through the snow. Do they make good family pets? No. These dogs still carry wolf-like mannerisms, and do not behave like a domesticated dog. Kugsha are intelligent, but also stubborn, which makes them difficult to train. They need constant stimulation and open space because of their free roaming personality. Kugsha are shy with strangers, but are not known to be aggressive. In the right environment, with strong leadership, they can be excellent companions. A New dog breed that was created to have the temperament of a German Shepherd, but the physical build and strength of a Carpathian Wolf. Originally bred to be attack dogs in Czechoslovakia in the 1980’s, the Czech wolfdogs are now used for a range of work. Do they make a good family pet? Yes but these dogs require a high level of training and strong leadership. They can be good with children, but are suspicious of strangers. 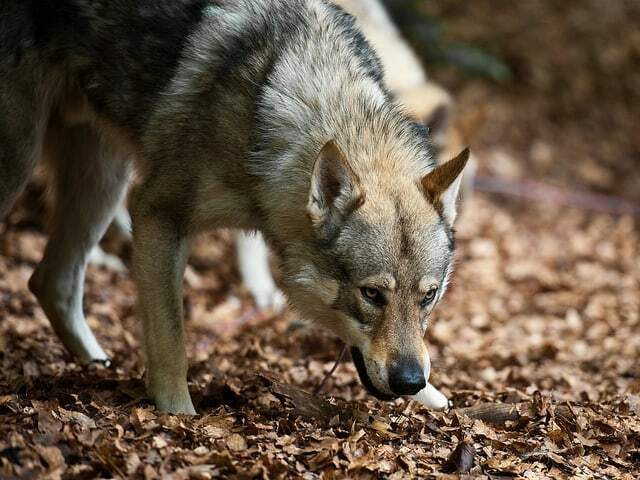 Czech wolf dogs are active and playful, and need daily stimulation to feed their curious minds. They are best suited for large open spaces where they can roam and get daily exercise. Until 2008 this dog was classified as a "Dangerous Wild Animal" in the UK. And due to the wolf-content of this breed, they cannot be legally owned in some States or Countries. ​A cousin of the infamous Shiba Inu and Akita Inu, the Shikoku is a Japanese breed that shares similar qualities. While they ​carry many of the same physical ​characteristics of the Shibu Inu, ​the Shikoku coat/markings are darker in color and much more wolf-like. ​. Do they make a good family pet? 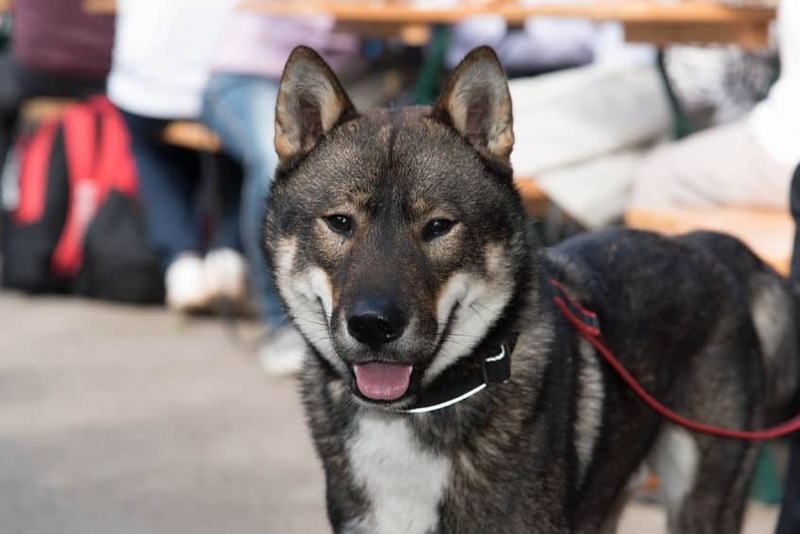 ​Shikoku's are enthusiastic and sociable dogs, and can certainly make a good addition to your family. However, these are working breeds, and were often used for hunting boars. While they are a good natured dog, they still carry those ​working traits to this day. ​Exercise, socialization, and mental stimulation are required everyday, or they'll become bored and frustrated. Also, Shikoku's have a very high prey drive, so they will chase any small creature or interesting object. hi, i am intrested in getting a dog with wolf-like looks,however because I love and admire Wolves I would never consider getting a wolf hybrid dog.I currently have a greyhound abd I love his laid back personality.So I guess my question is if there is a breed or subbreed of the ones on this list that has wolf markings,large size BUT is laid back. Greyhound’s are great dogs, but you might be hard pressed to find a wolf-like breed as laid back as your dog. Since these dogs are working breeds they tend to have insane levels of energy and playfulness. A good example is my friend who owns a Tamaskan dog, who after 4 years of training has finally managed to get that dog to be a little more laid back. So with a ton of training and patience it’s certainly possible. Depends on where you live. Do a lot of research, they are very different dogs. We had one for 14 years and she was the best dog I ever owned. If you get one with more shepherd than wolf you will do better. Training is essential! I have a wolf hybrid and they are very different when compared to other dogs. First, he prefers to be outside 24/7. Second, he is very intelligent. He is not like a reactive domestic dog that barks at almost anything. He prefers to observe and calculate, he doesn’t always bark along with my other two dogs. He has a very high prey drive. If it is small and is in our yard, it usually ends up dead. He is extremely vocal, when he has missed me when I’m gone or if he wants attention he will “talk” to me and sometimes even bark! He is extremely loyal. When I walk our property he stays by my side, watching me, very attentive. While my other 2 dogs have taken off running and playing. It takes a lot of time to train them and they have a lot of energy. In my opinion if you can, get two. Having a playmate to tire themselves out has been crucial to his happiness. And prepare to brush…a lot, lol. I have an Alaskan Noble Companion Dog. I didn’t trust what I was told by the breeder and had his DNA tested. German Shepherd, Alaskan Malamute, Husky, and…. sadly Wolf. Which is not advertised at all. It’s contested even. I’m Cecelia Ericson and I used to have dog named lady and she was Lab cross with wolf breed. She was awesome with kids but she was very protective over her family. She also hunt for chickens in the neighborhood. This was years ago. She died of liver cancer. Which it’s common in wolf breads. She was huge dog. I still miss her loving smile.